Whiling installing the latest iOS 7 Developer Preview just released on June 10, 2013, I realized that there isn't any easy to follow, step by step instructions on how exactly to do it. At least none that I could find. While the Apple Developer site has tons of great documentation and tools, I couldn't find a single source of concise steps for newbies, on how to install iOS on devices. So I thought someone who wants to get an iOS beta on a device quick and easy, might find this useful. You need to proceed with CAUTION. Once you upgrade a device to a newer iOS, you can NOT downgrade or restore it to an older version. There's no going back. A Mac is required to use Apple's Xcode developer toolset. Xcode is required to install an iOS beta on to a device. Sorry Linux and Windows users. Dedicated development device required. iPhone and iPod Touch only are supported by iOS 7 Developer Preview 1. Update June 24, 2013: iOS 7 Beta 2 now also supports the iPad. I recommend you use as new a device as possible, so you get the complete iOS feature set (some newer features are not supported on older devices) and for the best performance (betas can be slower than released code). I also recommend, and so does Apple, that you do NOT install a beta iOS on a production device. For example, I have an iPad and iPod Touch that I have installed iOS 7 on, and I use an iPhone for production use running the publicly released version of iOS 6. If you don't have one, get an Apple iOS Developer account. Provision your device for development. Install iOS onto your development device. 1. Get an Apple iOS Developer account. If you're new to all of this, then the first thing you need to know is you need to join Apple's iOS Developer Program. It's cheap and easy, just $99 a year for a single individual developer - more for a company. You'll need an Apple ID. Your application is submitted and paid for online. The site says you account will be activated within 24 hours. Mine was activated in less than 1 hour. Then you'll be emailed an activation code and instructions to active your account. You can download iOS betas, other previews, SDKs and other tools in the iOS Dev Center. Xcode is the will need Xcode to pr install iOS You can download Xcode from the iOS Dev Center or the Mac App Store. In order to install an iOS beta on a device or to use it to test apps that you're developing, you need to provision the device for development. This will essentially register the device with Apple. And your developer account is limited on the number of devices that it supports. Update Sept 16, 2013: If you have Xcode 5, following the updated steps in this article How To Install iOS 7 Betas with Xcode 5. The steps below are for Xcode 4.6.3. Here are some step by step instructions from Apple on the page below. But they forget to tell you that you need to open the iOS you downloaded first, in order for it to show up in Xcode Software Version pulldown menu. You can do this by simply opening the iOS file you downloaded, from Finder. 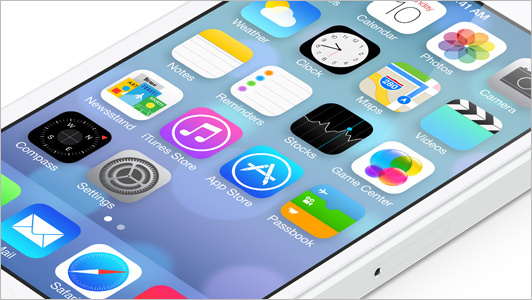 Apple is distributing iOS 7 updates over the air. So once you have installed an iOS 7 beta version on a device using the steps above, you can update iOS 7 to the latest beta by using the built in iOS Software Update feature in the Settings app under General > Software Update.